Happy March! Another lovely box of surprises. – I am so happy to have received a beautyblender in this month’s box. I have previously tried other sponge applicators and can finally try this cult favourite. – Perfumes are not a product I am inclined to try! I just don’t wear perfumes on the regular as some scents are just too strong for my liking. I also cringe when I see perfume vials in my beauty boxes because these are easily given away freely if you go to a beauty counter. I will probably give this away. – I have been getting a lip product in the past 3 Birchboxes since I subscribed. 2 out of 3 have been red coloured! At least give me some variety, Birchbox. This colour is another red toned product. Upon swatching it, it takes a little while to dry completely, but the application is smooth. On my card, it says “Paris” and I would have been more excited for that colour as it is a mauvey pink and a nice change from all the reds. – This product looked interesting to try. However, I cannot get the product out! I seem to have a defective pump and no matter how much I pump for product to come out, nothing pumps up. So I emailed Birchbox to see what they would do and they will be sending me a replacement product for this. I will say that Birchbox has excellent customer service! Overall, this was a decent box and I will use most of the products (except the perfume and the Paula’s Choice, which I can’t try until my replacement product comes). 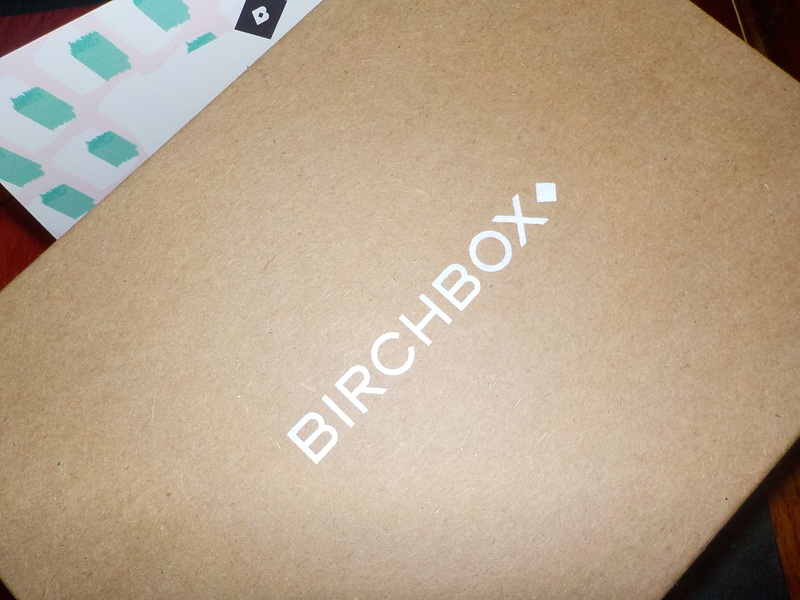 What did you receive in your March Birchbox? What are your thoughts? I’m still waiting for a beauty blender in my box!! Lucky you!!! Hopefully you received it by now! The beauty blender is such a lovely product. Enjoy! ooh i’ve been wanting to subscribe to birchbox, now i might just give it a go!